1. Nothin’ Takes You Off My Mind Sample. 2. Bowling Club Blues Sample. 5. Fake It ‘Til I Make It Sample. 6. 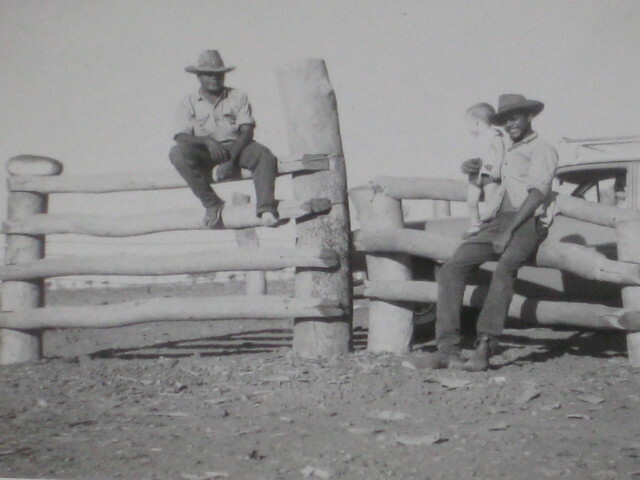 The Graves Of Camooweal Sample. 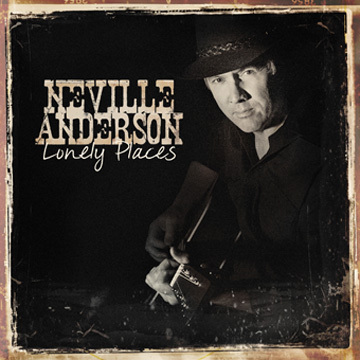 Lonely Places is Neville’s latest Album produced and recorded by Bill Chambers. Neville had such a good experience with Bill doing Rambling Shoes, when he had written enough songs he called Bill to work with him on the new album. Bill had a new studio set up at Kariong and had Michael Muchow in to assist in the operation of his new equipment. Neville had met Michael in the mid 1990’s while working in Brisbane so it was a pleasant surprise to have him working on the new album. Bill and Michael shared the bass playing and Rudy Miranda played drums. Bill suggested Neville play his Martin HD28V on some tracks to give the album more of the sound people would hear at Neville’s gigs. Bill and Michael also played acoustic and electric guitars and sang harmonies. Michel Rose on Pedal steel and Mick Albeck on fiddle were back again to weave their magic. Charlie Boyter came in to pick on a few songs and Vaughan Jones played some wonderful piano. Bill made the perfect choice in Bec Willis to do the female harmonies. 3. Dance With The Devil - This song is about any form of weakness or addiction. The acknowledgement of giving in to the temptation and guilt is not quite complete with the suggestion it will happen “one more time”. Bills deft touch on mandolin and lap steel and Michael Muchow’s amazing lead guitar combine perfectly to add to the songs dark side. 4. If You Could Be Me – This song is intentionally a mind twister. There are two sides to every story but we usually justify our actions from our own selfish point of view. This song contemplates the issues of reversing roles while seeing yourself from a more critical point of view. 5. Fake It ‘Til I Make It Sample. - The Amazing Rhythm Aces are a great band and this is one of my favourite songs off their Chock Full of Country Goodness album. Vaughan Jones on piano and Michel Rose on Pedal Steel do a wonderful job of capturing the heartfelt emotions in this song. 6. 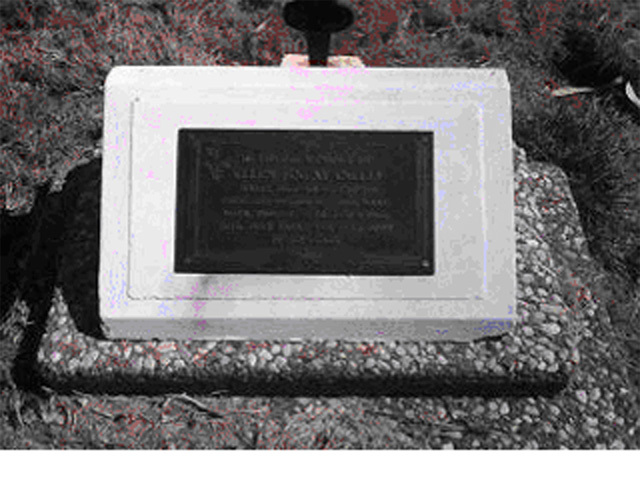 The Graves Of Camooweal Sample. 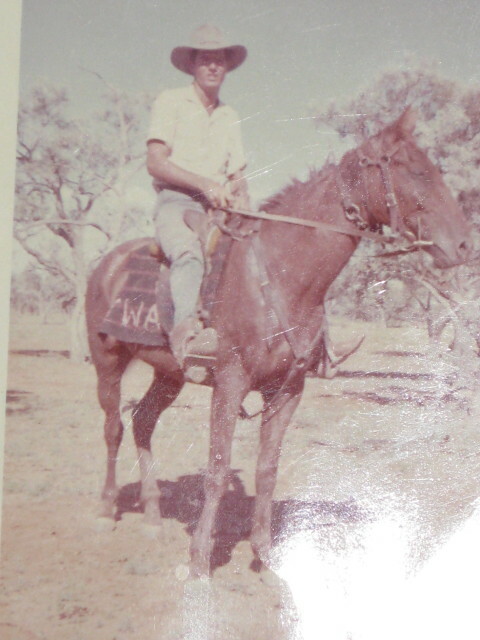 – My Grandfather on my mother’s side was a drover based in Camooweal. 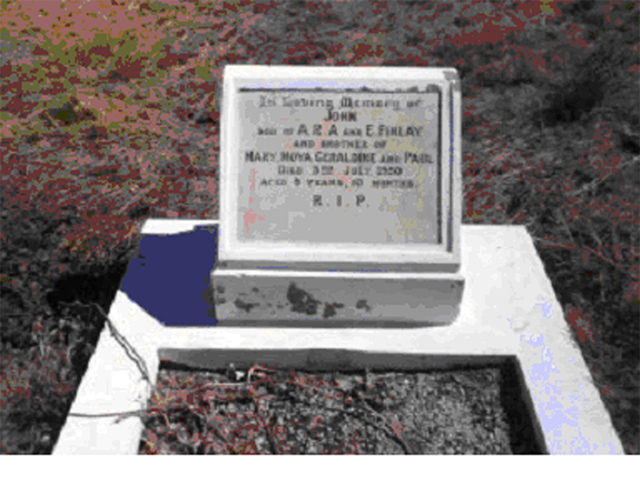 His real name was Arthur Finlay but everyone knew him as Fin. 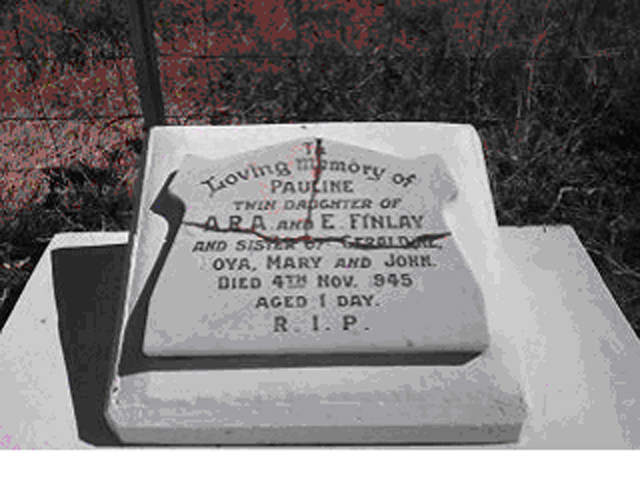 Fin and Grandma are buried at the Camooweal Cemetery along with my Uncle John who died when he was a boy and my Aunty Pauline who died at birth and was a twin sister to Aunty Geraldine. I was asked to perform at the Drovers Reunion in Camooweal again in 2009 and while I was there I went to visit the cemetery. Central Australian air is so dry that the surface of metal will colour with rust but the metal itself will last for many years virtually unchanged. 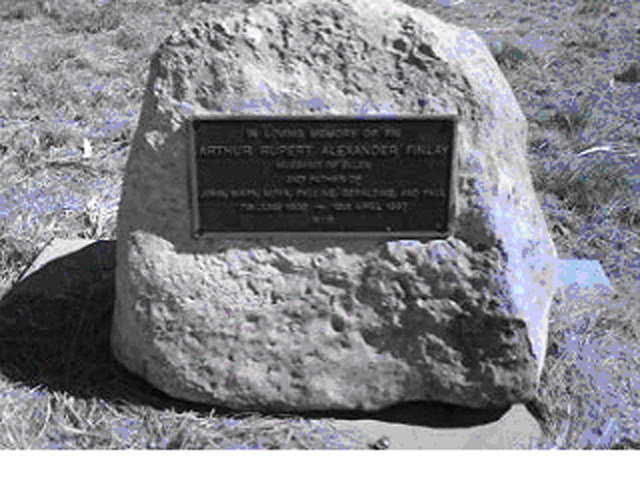 Iron cots were often placed on babies graves in the old days as the parents could not afford to pay for headstones and may only have been passing through. I imagine the cots, as well as being a marker were also a symbol of comfort in such harsh resting places. I thought of the grief of those women giving up their babies to the loneliness and harshness of the outback and leaving the iron cots as grave markers. 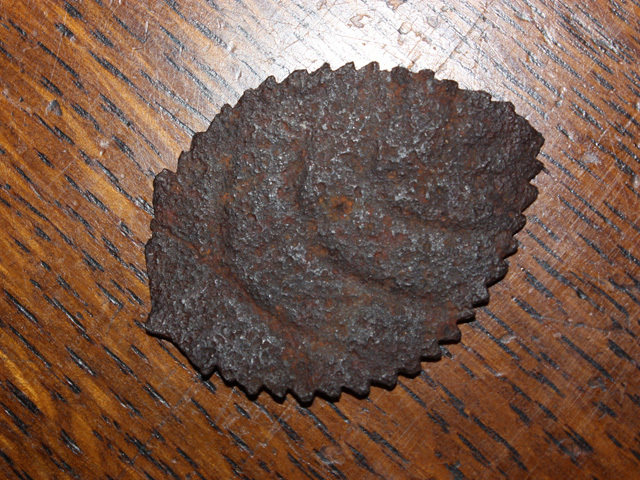 I did take the iron rose leaf and the fulfilment of my promise was the writing and recording of this song. 7. Pancho And Lefty - This song was written by Townes Van Zandt and became a hit when sung by Merle and Willie. This is one of those great songs that I never grow tired of performing or trying to decipher. Bill Chambers is also a big fan of this song so I asked Bill to join me on this track. The craft of song writing is on full display in this song. The vivid imagery entwined with a storyline that leaves you wondering about the details is what takes the song to another level of human complexity. Who is the storyteller? 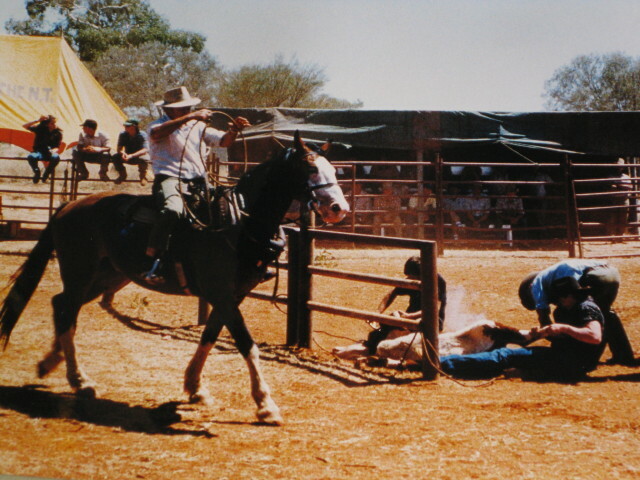 Were the Federales friends or foe? Is Pancho Lefty? 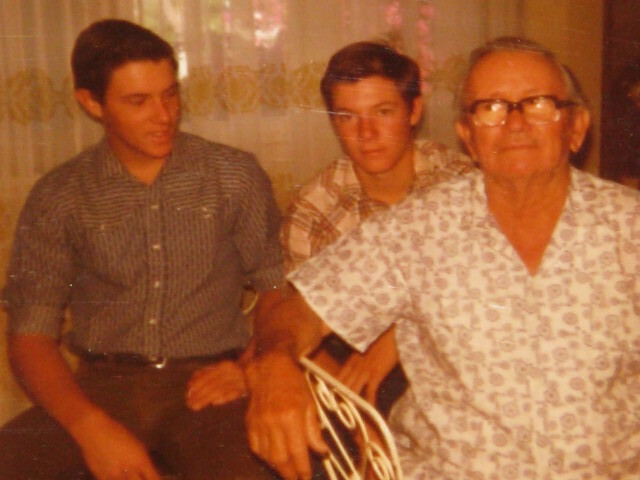 Were they brothers or friends? You can contemplate these things as you listen to the amazing musical ending to this song. 8. Bandy The Rodeo Clown – A hit for Mo Bandy and written by Lefty Frizzell and Whitey Shafer, to remind us that there may be more to people than their external appearance or current situation suggests. Bandy wants us to know the rest of his story that led to him being the rodeo clown. 9. Right At Home - I have always had a soft spot for Honky Tonk/Drinking songs but there are so many greats it’s hard to be original . As a song writer I am always looking for a slightly different track on this well worn path. Sometimes someone will point out a destitute person and tell you they were once a millionaire. I had the idea of life being like the liquid level in a bottle life can go from the top to the bottom. I also wanted to join the notion of being homeless with being right at home. 10. Square Pegs – Inspired by my Father who spent many a day walking the streets of Newcastle which was never really his home. 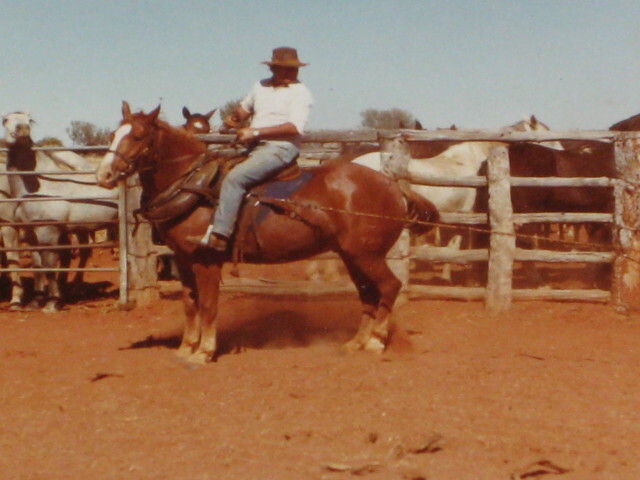 He spent a lifetime with cattle and horses in the wide open spaces of outback Australia among people who understood the lifestyle and the history. Bush people whether they be black or white can never really leave the bush behind. 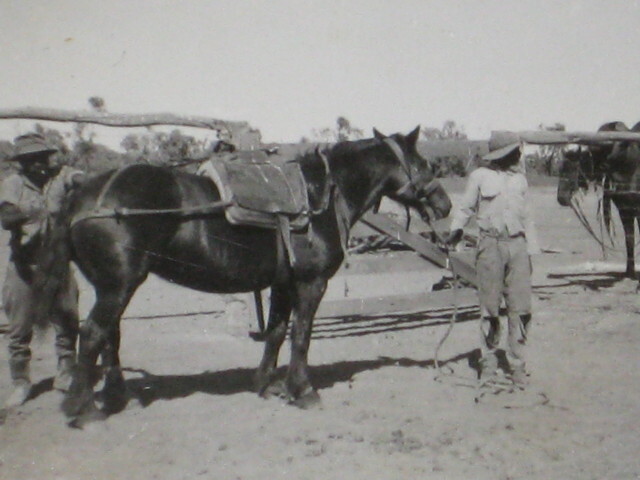 Pack horses were horses that carried supplies packed in leather bags that hung on rigging mounted across their backs. 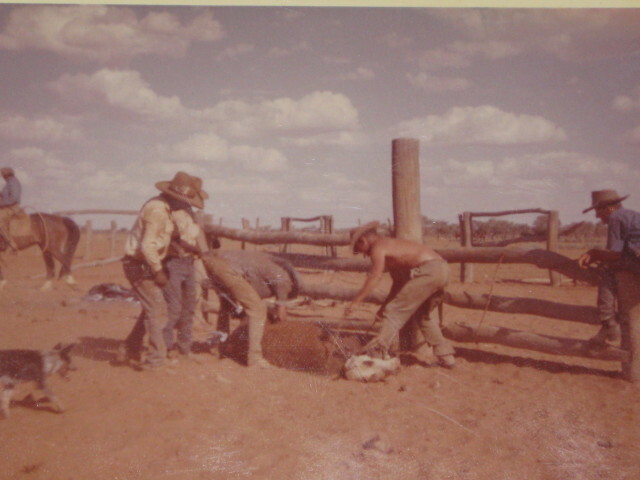 Bronco horses were used for roping cattle in Bronco yards which were cattle yards that had wooden panels in one corner that we used as a restraining aid when marking and branding cattle. They were used in the times before portable steel yards with races, head stalls and cradles. Competition Bronco branding has become quite popular but pack horses and the original bronco yards are becoming a rarity. 11. Miss Otis Regrets - The story goes that while Cole Porter was out to lunch in the early 1930’s he was challenged to write a song about the first thing said by the next person to enter the room. The maitre de came in and announced that “”Miss Otis regrets she’s unable to lunch today’’. Like all great song writers, Porter allows for many possible interpretations on the lyrics of this song. After hearing Bryan Ferry’s version of this old Jazz classic I realised that it had all the essential ingredients for a classic country tragedy; the jilted lover, revenge, and retribution, but this one was about a woman. I changed the melody slightly to turn it into a country song. 12. Sorrow Sample. - This is a David Bowie song that nearly everybody remembers from the 70’s. It had been hanging around on the edges of my repertoire for years until I decided to try and sing it the way maybe Johnny Cash or Waylon Jennings might do it. Since then it has become a regular song at my gigs. Bec Willis’s harmony on this track was Bill’s idea and is one of the highlights of the album for me. 13. I Think I’ll Just Stay Here and Drink – This song of Merle Haggard’s is a fitting end to an album about lonely places A bit of attitude mixed with a dash of regret and a touch of self pity. Also a great song to let the musicians strut their stuff and remind you just how good they’ve been through the whole album.